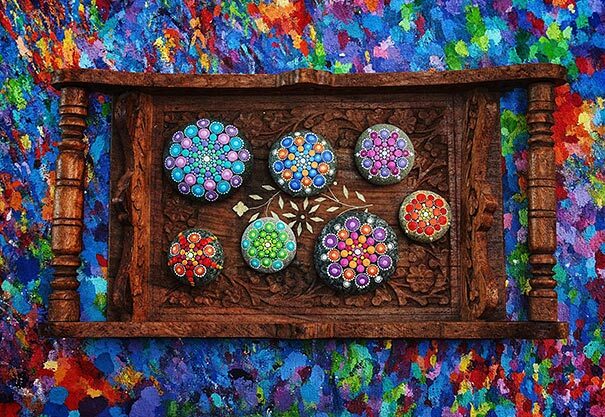 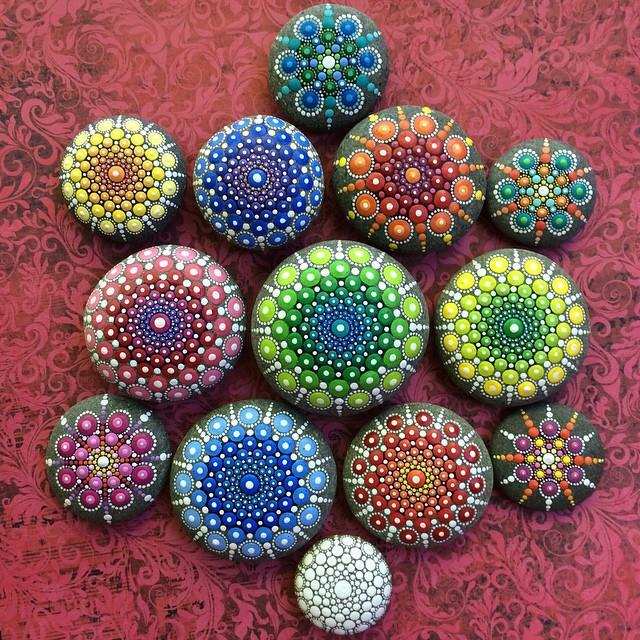 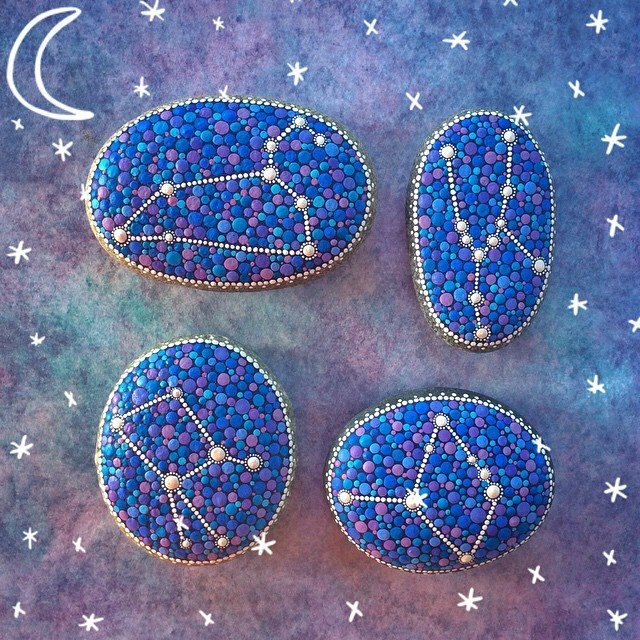 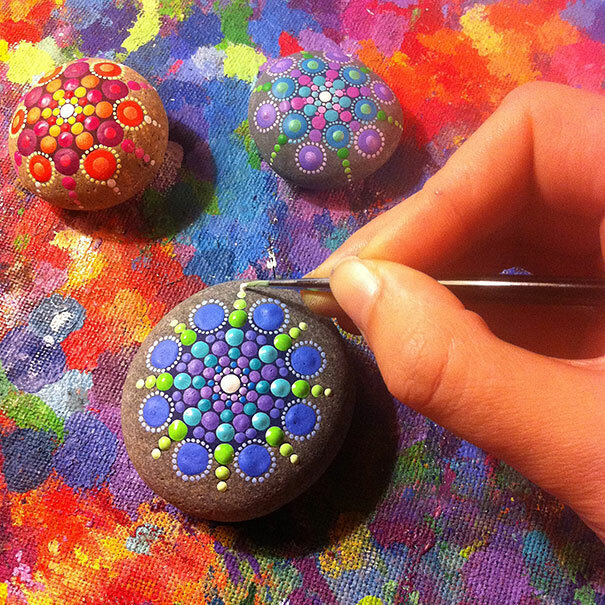 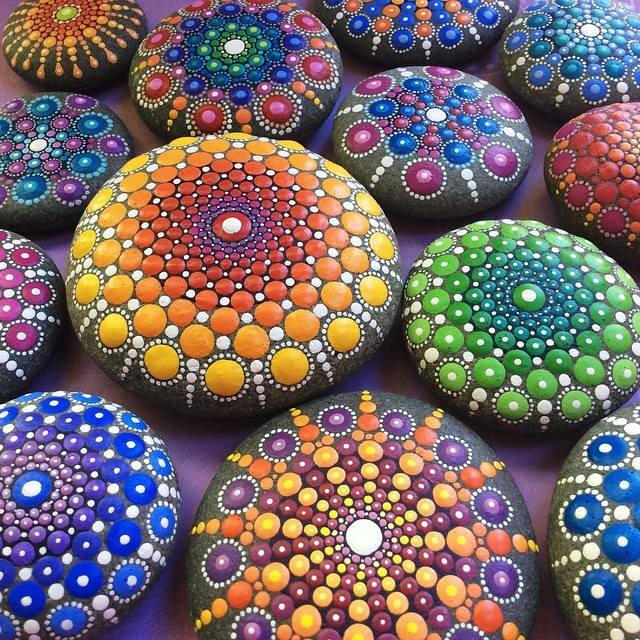 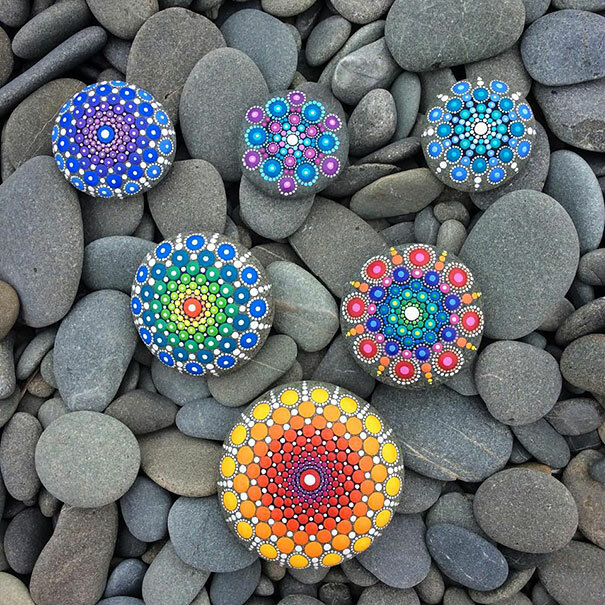 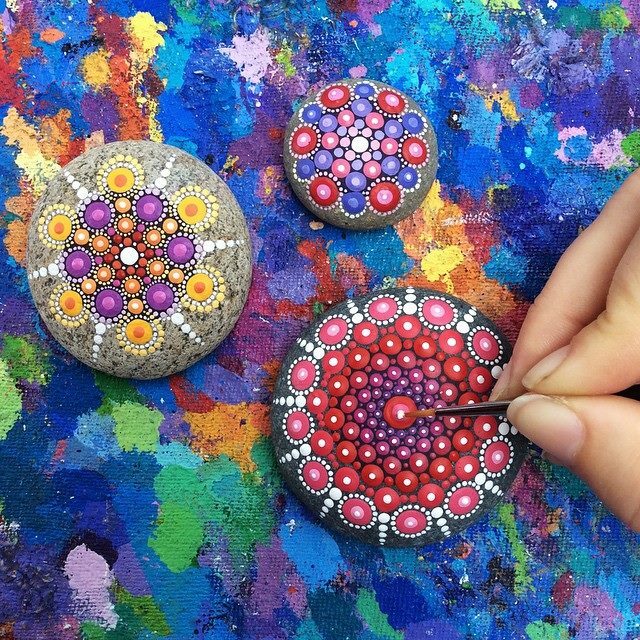 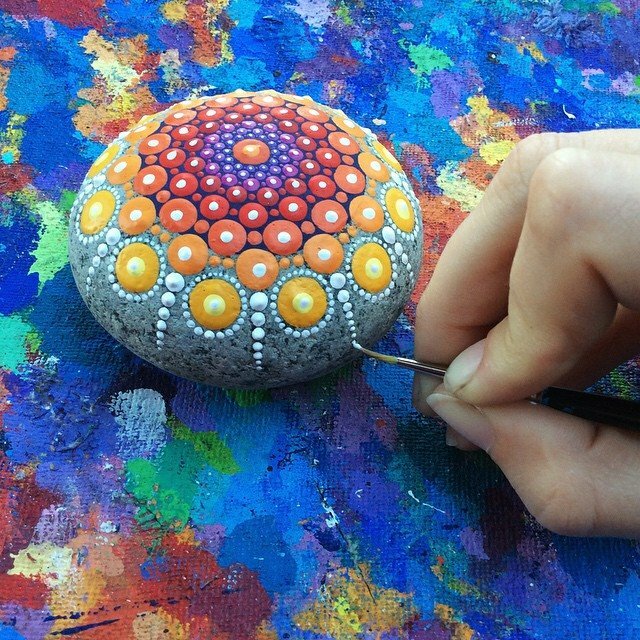 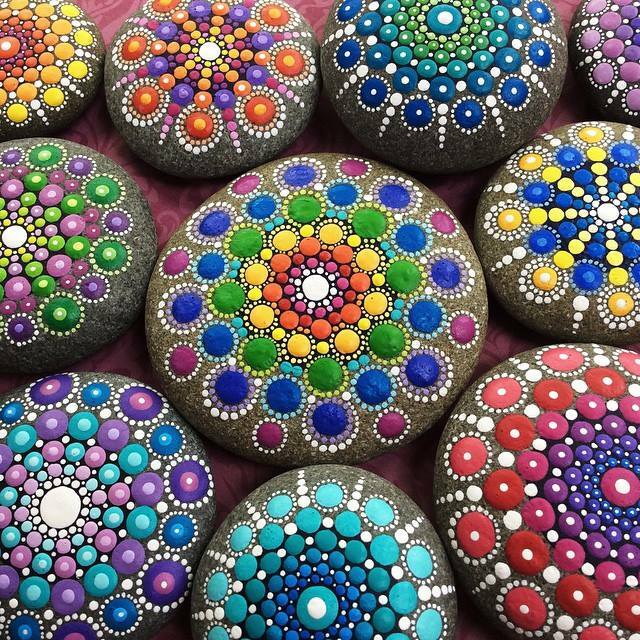 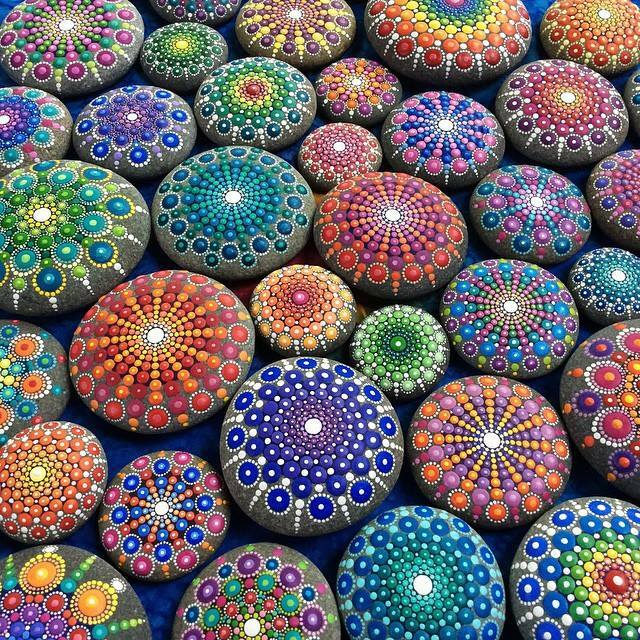 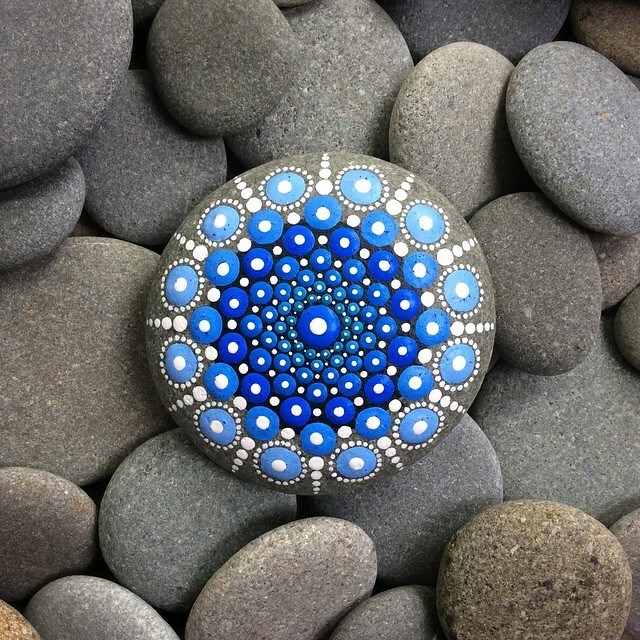 Canada-based artist Australian Elspeth McLean paints bright and vivid colors and intricate dots on ocean pebbles in radiating patterns and textures that she calls “dotillism”. 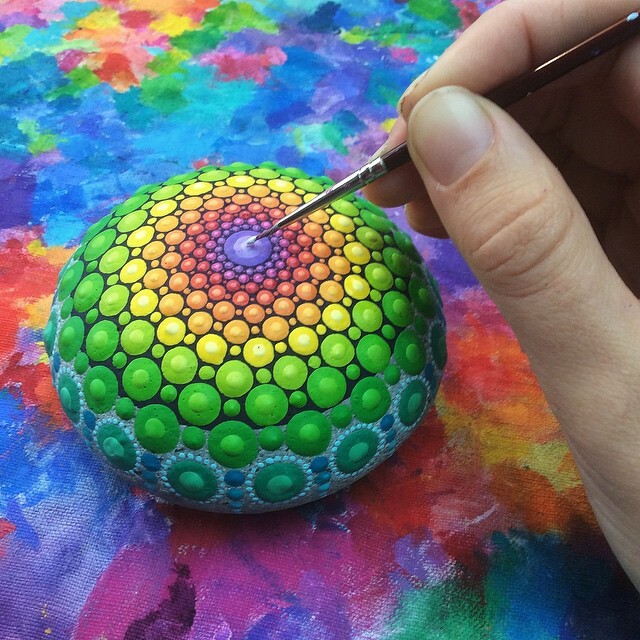 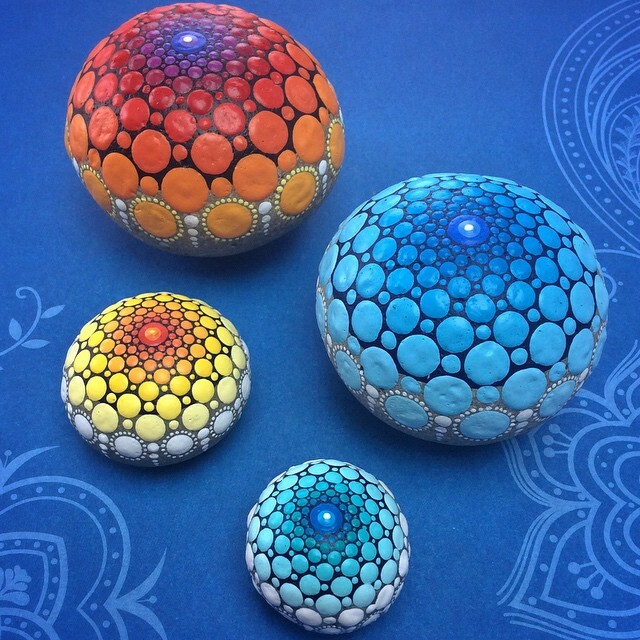 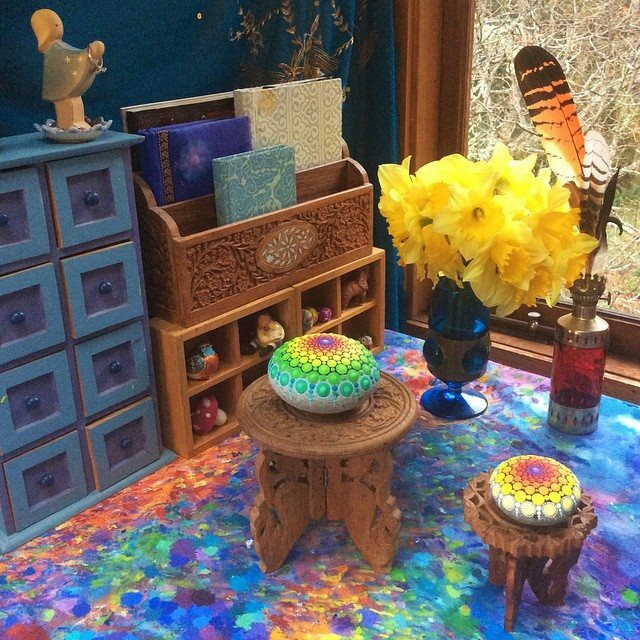 The artist uses stippling in pen drawings with acrylic paints and collects ocean stones from the shore in Canada as canvas to create beautiful Mandala (Any of various geometric designs (usually circular) symbolizing the universe that are used chiefly in Hinduism and Buddhism as an aid to meditation) artwork. 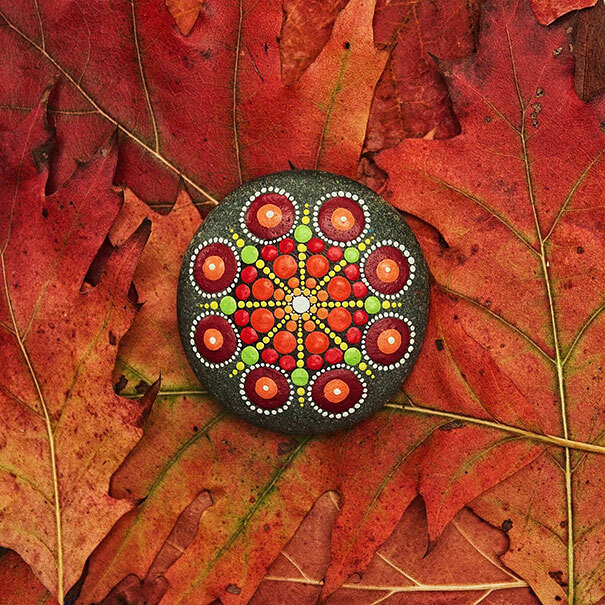 “I tend to focus on the more uplifting and beautiful aspects of this world because I think there is already enough darkness. 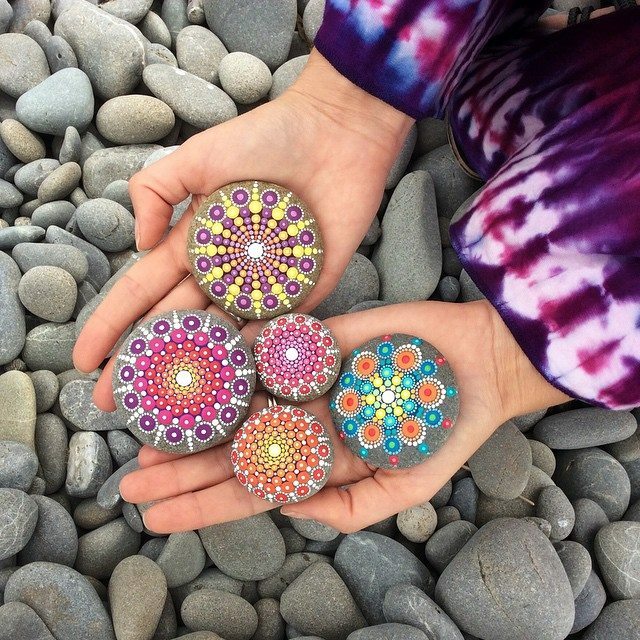 This mindset helps me keep alert, in the moment and I try to see the positive aspect in any situation.” Elspeth McLean said.